Balancing On My Toes: How To Get Organized NOW! Sometimes I'm hesitant to share organization and home cleaning tips since I'm not yet a wife or mom. I know that seems silly but I think that maybe people will look at me like She can't be that busy, my life is SO much busier then hers. One time I actually had someone at a Christmas party tell me that she couldn't wait to see how destroyed my car was once I had children. Now, I don't know what my life will be like someday when I get married and have kids but I do know that I currently live with two boys- my boyfriend and my brother both of whom aren't extremely interested in cleaning or organizing. 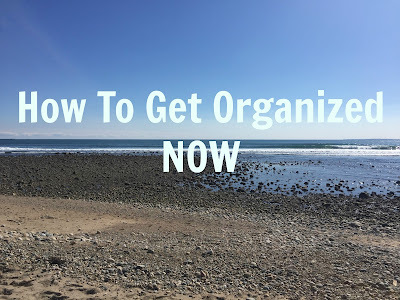 I know in my heart that cleaning and organizing are an important part of who I am and my type-A personality and I don't see that changing as I transition into new roles throughout my life. I know, I know. You are probably rolling your eyes saying "Duh, that's obvious," but hear me out! Everyone has a different way that a to-do list will work for them. Some people prefer an electronic to do list on their phone whether in the Notes section or with a great digital app like Wunderlist. Some people like myself prefer a list done with pen and paper. I love the feeling of crossing something off my list and feeling accomplished. Sometimes I make my to do list right in my Erin Condren planner, sometimes I write it on a separate piece of paper- it just depends but I always have a to do list going at all times. The items on my to do list can be as simple as Do Laundry, Pick Up Prescription, etc but I keep everything written down so I don't forget anything. I also am a fan of using action words in my to do list. If I just wrote the word Prescription it would be less effective then Pick Up Prescription at CVS. I am able to look at my list and know exactly what is required of me in order to complete it. I know that I need to drive to CVS and physically pick it up. It will also remind me that I should make a list of anything I might need at CVS so I can grab that while I'm in the area. I have used a planner ever since my middle school days when they provided us with a school focused planner. Writing down all my homework assignments was what it was meant for but I always used it to keep track of everything. I kept track of my friends birthdays, events going on at school, and everything that I was responsible for getting done. Even when I finished being required to keep track of all my homework assignments in a planner I carried my own around with me. I did so all through high school, college, and continue to do so this day. I love my planner because it's almost like a little journal where I can look back and see exactly what I did each day but that's not why it's important to this post! The reason I recommend using a planner is because you can keep track of what events are coming up and you will never be overbooked. There certain times of the year that are busier then others and I know everyone has been in a place where they felt overwhelmed and had too much going on in one particular day and week. I like to have at least one night after work when I can head home and just veg out! Those are the nights where I don't have to do anything; no laundry, no dishes, no cleaning. I allow myself to just hang out. I make sure to schedule all of those things in my planner as well as writing in the hours I'm at work, when I need to write or edit blog posts, my youtube video filming times, etc. Everything gets scheduled. It makes life simpler and easier to navigate. No, I'm not talking about your e-mail inbox. I'm talking about a physical inbox where you process paperwork the minute you bring it into your house. Mine is in my bedroom because right now that's where it makes the most sense to be but you might find that it makes sense to have yours in your kitchen, office, living room..who knows! There are a lot of crazy inbox systems out there but I have found one that is super simple and makes the most sense to me. It's simple but extremely effective and I'm able to keep up with it which is my number one request in any system in my home. I use the Martha Stewart wall organizer and have two simple categories: To File and To Do. I know, super simple right?! I find that having more then these two categories would be silly because every single paper I bring in can fall into one of the two. It's either a paper that I will be saving and need to file or a paper that I need to do something with. I might need to fill it out and mail it somewhere, it might be something that has information I need to do something with soon, or a paper I need to save for a short period of time and then toss. If something doesn't fall into one of these two categories it generally is getting shredded or recycled. Actually it always is getting shredded or recycled if I don't need it because I don't hold onto paper I don't need, I just don't and neither should you! 4. CLEAN OUT YOUR BAG! Whatever kind of bag you carry make sure that you clean it out often and restock it often. It will save you so much time in the long run. You won't have to spend all your time digging through a Mary Poppins bag. Head over to your computer- recycle any documents you no longer need, delete pictures and songs that aren't something you treasure. By having less there will be less you have to sift through when you are looking for something you actually care about. Are you starting to see a pattern here? I am a big believer in tossing anything that stands in the way of things you actually need to access whether it's a physical item or something electronic. Remove yourself from e-mail mailing lists that you no longer wish to be a part of and you will spend less time deleting unread e-mails every day which is a definite time saver. (A great service for that is: Unroll Me which shows you every mailing list you are signed up for and lets you pick and choose which ones you want to keep. 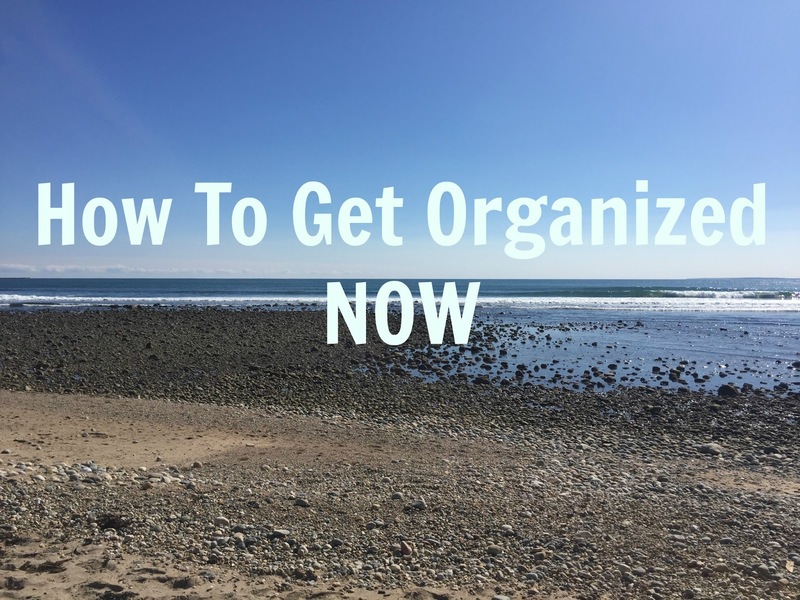 Those are my top five ways to get organized right now! Anything you'd like to add? Comment Below!